AB Mauri® North America is a division of AB Mauri, a global leader in yeast and bakery ingredient products. 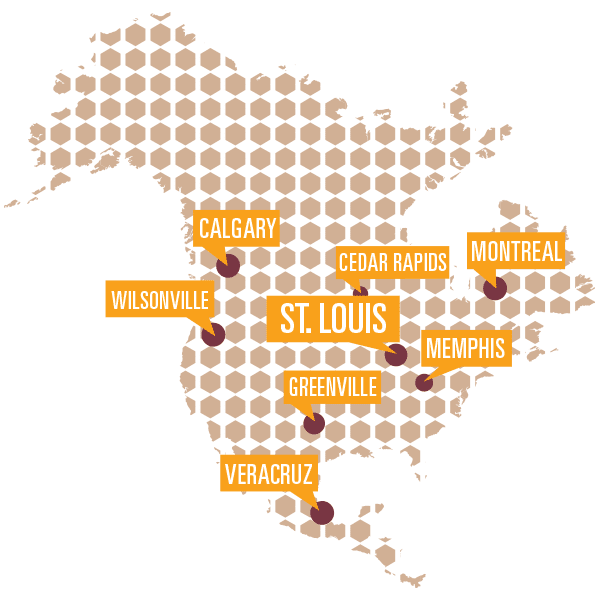 In addition to headquarters located in St. Louis, Missouri, we have four production facilities in the United States (Cedar Rapids, Iowa; Wilsonville, Oregon; Memphis, Tennessee; and Greenville, Texas), two in Canada (LaSalle, Quebec; and Calgary, Alberta) and one in Mexico (Veracruz). We sell yeast under the Fleischmann’s® Yeast brand name. Additionally, our signature line of quality bakery ingredients – including dough conditioners, mold inhibitors, leaveners, vinegars, malts, syrups, acidulants and more – are sold under the AB Mauri® Bakery Ingredients brand name. When bakers choose from our complete product portfolio, they experience our commitment to an ongoing working relationship — beyond the product purchase. We will thoroughly assess your ingredient and process needs — plus provide you with the industry experience and proven critical thinking to help set your baked goods apart in the marketplace. Around the world, AB Mauri operates in more than 50 locations in 32 countries, with global headquarters located in Peterborough, United Kingdom. AB Mauri was formed in 2004 as an operating division of Associated British Foods (ABF). AB Mauri North America has access to a global network of baking knowledge unmatched around the world. This expertise covers the functionality and proper application of yeast and bakery ingredients, technical understanding of processing equipment, and beyond. "This is our passion and our focus. We are passionate about baking." At AB Mauri, we take a unique approach to the challenges that face today’s bakers within the bread, pizza, sweet goods and tortilla industries. In short, customer problems are our problems. Our employees – from customer service representatives to line supervisors to bakery technicians – understand that our business is built on the needs and requirements of our customers. Our customers enjoy the confidence that our ingredients are world class and our service and technical expertise are unmatched. As a region of AB Mauri, AB Mauri® North America has access to a global network of baking knowledge. This network of bakery specialists offers a caliber of expertise in all aspects of bakery applications — not found elsewhere. This expertise covers the functionality and proper use of yeast and bakery ingredients, including understanding interactions and synergies, a familiarity with processing equipment, and an extraordinary and comprehensive knowledge of the many and varied baking processes. We succeed in helping our customers, many of whom operate in the world’s most demanding markets, finding solutions for moving their businesses forward by contributing our technical skills, our creative and practical product development ideas, and by collaborating on marketing. AB Mauri® North America dates back to the introduction of Fleischmann’s® Yeast in the U.S. in 1868, thanks to the industry-changing vision held by brothers Charles and Maximillian Fleischmann who partnered with Cincinnati businessman James Gaff. 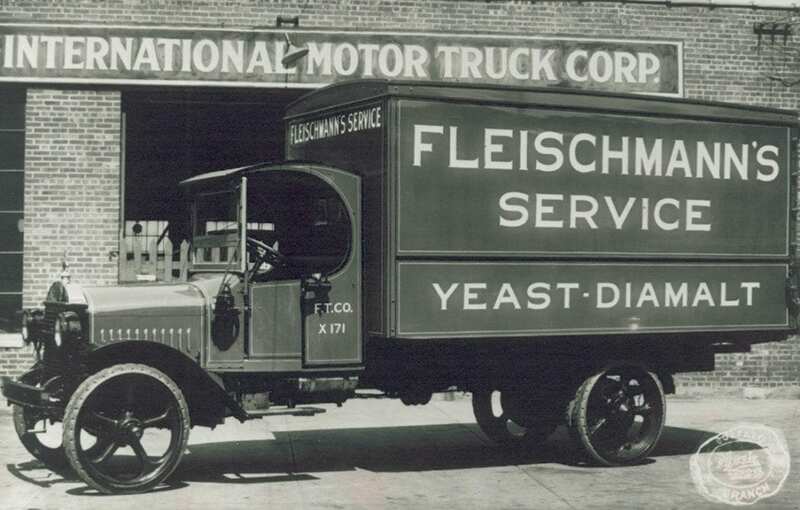 Eight years later, Fleischmann’s® Yeast made the move north of the border to Canada. By the early 20th century, the company merged with several other food corporations, including a merger forming Standard Brands by J.P. Morgan in 1929. Coincidentally, this was also the same year that the company began sponsoring the musical variety radio program, The Fleischmann’s Yeast Hour, starring Rudy Vallee. Following several acquisitions later – including by Nabisco Brands, Inc., in 1981, and Australian company Burns, Philp & Co., Ltd., in 1986 – Associated British Foods purchased Burn’s Philp global yeast and bakery ingredients companies including the Fleischmann’s® Yeast assets, and AB Mauri was formed in 2004 to service the commercial baker. 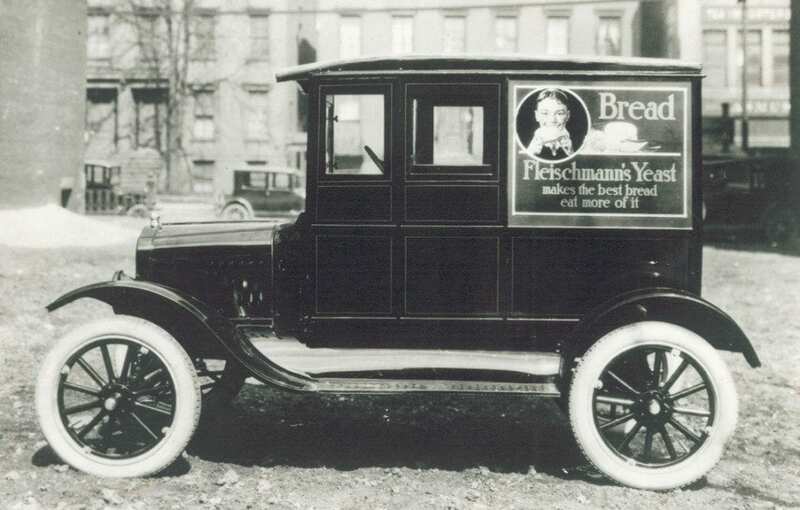 A sister company – ACH Food Companies, based in Chicago – directs the Fleischmann’s® Yeast consumer retail business in North America. In 2005, AB Mauri purchased Innovative Cereal Systems, LLC, located in Wilsonville, Oregon. Today, what started as the Gaff, Fleischmann & Co. nearly 150 years ago has now evolved to AB Mauri® North America, a division of AB Mauri.